Every year, you visit the vet and get a round of shots for your dog, along with an expensive bill. 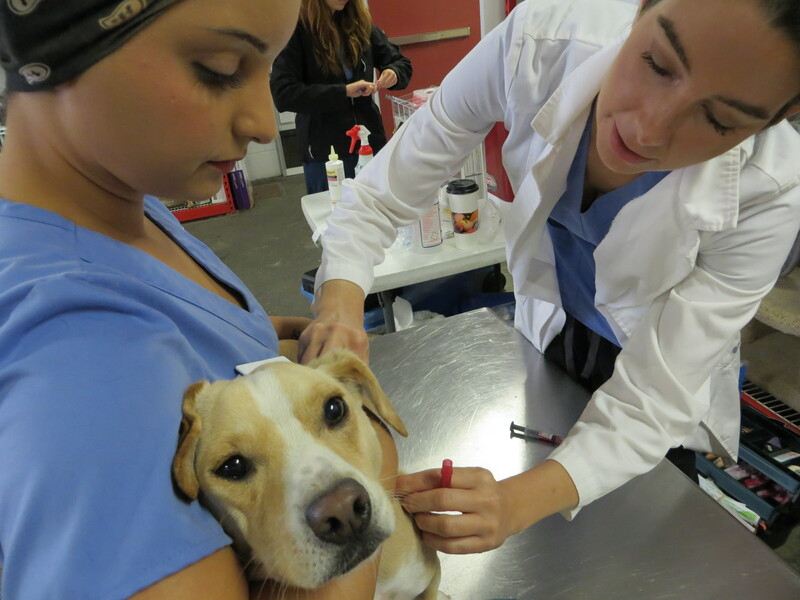 We all want to protect our pets, so we comply with whatever our vet or clinic recommends. But there is some debate over which vaccines are necessary and how often they should be given. Yellow Dog is being a brave boy while he gets his rabies and bordetella shots. Yellow Dog and Sundown were recently due for their shots, so we at YDB decided to get the low-down on vaccines. We consulted our vet expert, Dr. Brandy Vickers of Avenues Pet Hospital in San Francisco, to find out what’s best for each individual pet owner. Dog walkers are great. 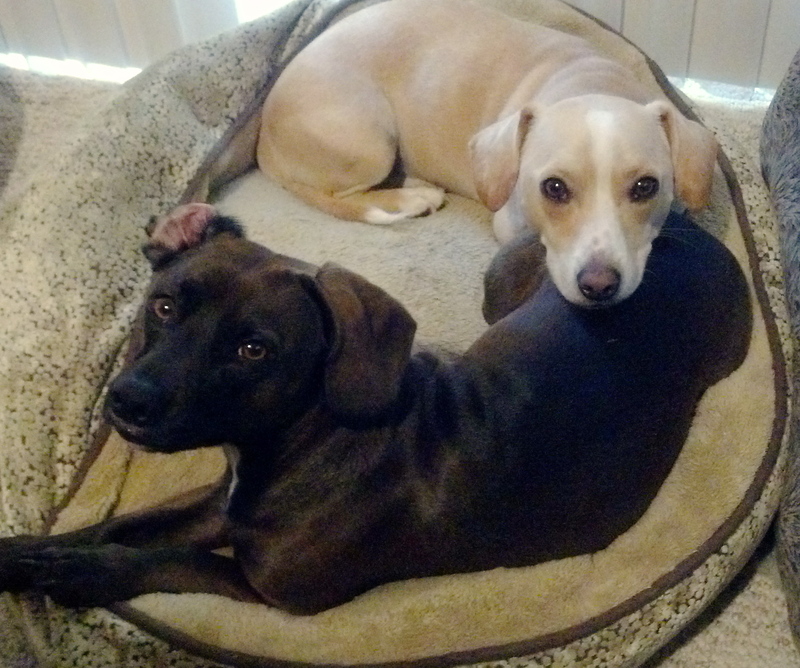 They help our pooches get a much needed break when we’re off at work. But what about those who walk ten, 12 or even 16 dogs at a time? Can they properly care for that many dogs at once? San Francisco recently implemented some new standards for dog walkers; as of July 1, 2013, a dog walker must have a permit when walking 4 to 8 dogs, may not walk more than 8 dogs at a time, and must clean up after all dogs in their care. But apparently, not every dog walker got the memo. Our KRON 4 News colleague Stanley Roberts went to Golden Gate Park to find dog walkers in violation of the new rules in his most recent People Behaving Badly segment. Yellow Dog and Sundown were rescued from the mean streets and given a chance at a good life; now they’re giving back to other homeless dogs in shelters! 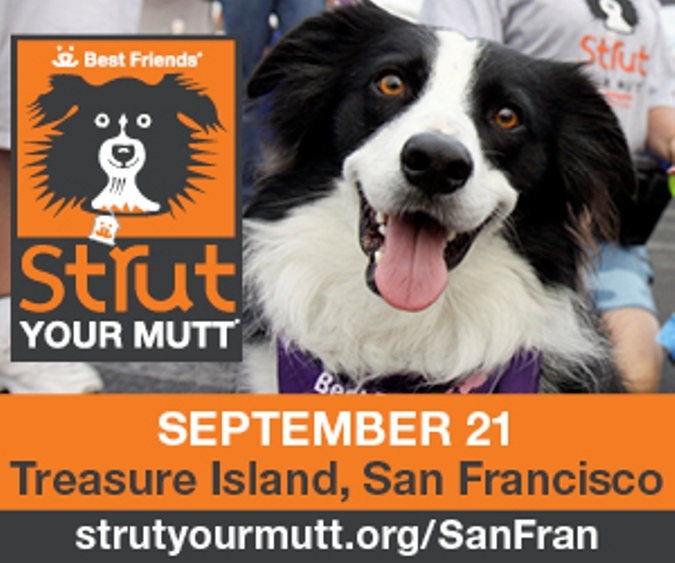 The pups will be attending the Best Friends Animal Society 1st Annual Strut Your Mutt event in San Francisco. Join us Saturday, September 21 from 8 a.m. to 1 p.m. on Treasure Island for a day of fun-filled doggie festivities, including a 1.5-mile walk and costume contest hosted by Yellow’s mommy, KRON 4’s Chief Meteorologist Jacqueline Bennett. If you can’t make it, you can always make a donation! Any help is greatly appreciated to help save other homeless dogs! Hopefully we’ll see you there!